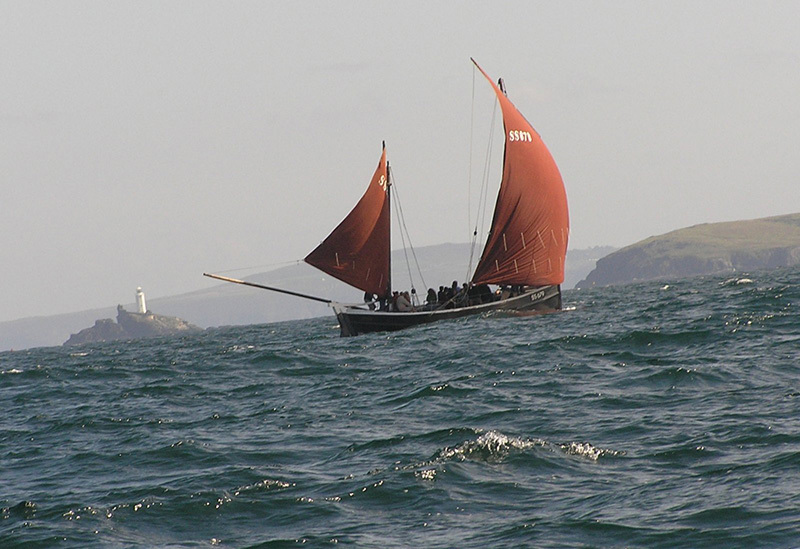 Tomorrow - Saturday 7th September 2013 - Boats In The Bay returns to St Ives Harbour. Luggers great and small will present a spectacle that will be familiar to many through the work of artists such as Alfred Wallis. Meanwhile ashore, members of St Ives Jumbo Association will be manning their stall opposite the Sloop Inn. Anyone wishing to experience sailing a Jumbo or enter the Scully Race should present themselves there. At around 4.30 pm a gun will signal the start of a race between the two Jumbos - Celeste and William Paynter. The race starts from moorings at the harbour entrance and continues out into St Ives Bay. The finish line is between the two pierheads and so an excellent view can be enjoyed from Smeaton's Pier. This will be followed (at about 6.30 pm) by a new addition to the programme - the Grand Scully Race. This spectator-sport has been recently introduced to St.Ives by the Jumbo Association and features their replica St.Ives Punts. The relay-race will be a return match between the St.Ives Boatmen and the Rest of the World. Prizegiving will be at 7.30 pm on the plat outside the Shore Shelter with The Mayor, Cllr. Colin Nicholls and BBC presenter and Down'long celebrity, Janette Eathorne. The evening continues at the Castle Inn, Fore St. - where you can meet the crews and join in with the Cadgwith Singers.